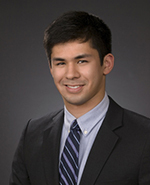 Robert is a Senior Investment Analyst for Galapagos Partners, L.P. He is responsible for evaluating marketable securities and hedge funds. Robert is a graduate from Santa Clara University where he received his Bachelor of Science in Commerce with a major in Finance. Robert is a Level III Candidate in the Chartered Financial Analyst Program.